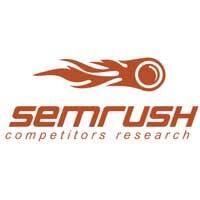 SemRush is an advanced Search Engine Marketing Research tool, which is what the SEMR stands for. This is indeed the subject that that SemRush was best suited for. Recently however they addeded some features that are still marked as Beta, but which work pretty well, and really add a lot of value, making it a full SEO Analysis service. The 2 added features are the Rankt racking Service and the Site Audit feature (just released March 27th! ), which is great for checking out on-site SEO, more on that later. The service is relatively affordable compared to Moz, and more in the same segment as WebCEO and Raven. Plans start at $69,95, which gives you plenty of options to start with as a small agency. Like with WebCEO, you can register for a free account, which allows you to track 1 project with 10 keywords, which could be all you need if you just own and manage one website. Basically all you do is to start from the big search box at the top of the window, where you can type in either a URL, Keyword or Phrase. Depending on what you looked for, a result page is shown, with many graphs and tables, mostly allowing you to drill down on the results. Especially keyword research and competitor analysis is very detailed, pretty much to the same level as Market Samurai, though both tools have their specific pro's and con's (so I often use both). 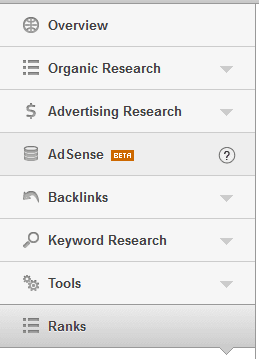 This opens a screen with a lot information, like a phrase match report, related keywords, search volume, competitors, etc. At first the information seems a bit overwhelming and unstructered, so it takes a bit of getting used too. Happily they have a Youtube channel that offers tutorials to help yout on this. There is especially a lot of information about AdWords and AdSense information available. Drilling down on these results, using the SE Keywords button provides further information about this specific competitor. Especially this bit of information can be extremely usefull to see what they are ranking for. If you click the Common keywords you can even get a side-by-side comparison with your own site! Drilling down then tells you your exact rankings, plus the ones for your competition, and all on a daily basis. You can drill down on any issue, but also you can request all issues per URL.